Not even the most optimistic options trader believes that the Euro is likely to find stability in the coming weeks. The recent release of the inflation report by the BOE seems to be underscoring exactly how bad the situation can get. According to the BOE, inflation is likely to stay over the 2% mark for now. 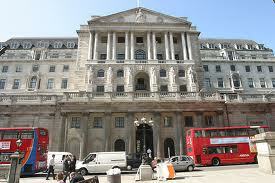 The Bank of England has said that the possibility of growth seems ‘unusually uncertain’. BOE Governor King advises that it is the ‘bigger picture of growth’ that should be kept in mind. However, the fact that inflation is likely to stay above 2% in spite of a dip toward this level is not good news at all. According to the BOE Governor, the uncertain outlook is arising from the euro zone crisis. Clearly, the Bank of England is also taking the possibility of Greece exiting the Euro quite seriously. The path to recovery is certainly going to be ‘slow and uncertain’ in the words of Mervyn King. Binary options traders with exposure to the Euro should take special note of the indications that a Euro break up may be imminent. Concerns about Greece exiting the currency have been making the rounds for quite a while now. However, overt talks about a possible ‘defection’ of sorts by other nations in the wake of Greek exit have only just begun to go public. As long as this climate of uncertainty exists in the Eurozone the Euro is likely to be under immense pressure. Binary traders should keep in mind that the BOE Governor King has explicitly stated that the “euro-zone is tearing itself apart”. Traders should watch for the key employment data that is to be released this week. Strong employment has supported the U.S. Dollar and kept it buoyed against the GBP. If the housing data and employment data in the U.K. reveal a turn for the better, the Pound and the Euro may rally. However, as of now the dollar is the safe have currency in every GBP/Dollar and Euro/ Dollar pair. It will take a lot of good news from the Eurozone nations to change these dynamics.